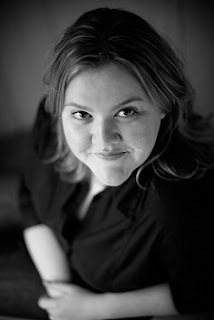 I'm a self-admitted Sarah MacLean fangirl, so be forewarned that I might overlook things which may be a con to others. Over the years, I've enjoyed watching the author bloom, each book better than the last. I read her first book, and almost didn't read anymore thereafter, which would have been a tragedy. 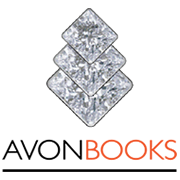 I felt so-so about the Love by the Numbers series, only reading the first book, to the point I almost didn't read The Rules of Scoundrels series – which, book 4 proved how the author grows from one book to the next. I will be going back to read MacLean's debut series over the summer. Her books are on my reread-able list. The Day of the Duchess was highly anticipated by me, because I was unsure how the author could change how the readers saw Malcolm after his actions in past books, but she did a splendid job. The Day of the Duchess was quick read, one in which I read from page one until the end, refusing to be interrupted. Truthfully, I read it through the night, ensuring I was uninterrupted, not going to sleep until after 4 a.m. The storyline is told in two times – the past and present, painting an entire picture. It's a mystery in and of itself, what happened in the past while we watch the aftermath unfold in the present. When in the present, I wanted to know what was happening in the past. When in the past, I wanted to know what was in the present. When reading either era, I was bereft when thrust back into the other, even though I wished to unravel it all. This led to a very feverish read for me. There are plot points I'd love to discuss, but I fear they would be a major spoiler. Those reading this review after-the-fact will understand. MacLean did an impressive job, yanking very real emotions out of me, as I felt for both Malcolm and Sera in the aftermath. I was able to empathize, place myself in the moment, and I cried – relieved at other times how I laughed. The epitome of a toxic relationship, even a bit toward the end of the novel too – it will forever linger. There is a thin line between love and hate, because there is no line at all. Indifference is the opposite of love – you don't care what happens to someone one way or another. To hate is to still love, is to still give power over your emotions to the other person. This is Malcolm and Sera, holding power over each other, ruining their relationship due to pride and tragedy. Sera's marriage to Malcolm was a bad one, we readers knew this in previous books but none of the details. The details were painful to read, playing my emotions, proving how perception is reality. Both Sera and Malcolm are stubborn, Sera more so. She's strong, witty, and independent, but also flawed and insecure, thinking she doesn't deserve everything her heart desires. Malcolm is persistent in a way that Sera needs to feel loved. The story unfolds, proving to be tragic, heartwarming, sensual, devastating, humorous, light, dark – up and down my emotions went as the book transitioned from the present to past and back again. Sera's sisters, the kitty, the girls at the house party, and the American added the levity that was necessary to keep this book from delving too dark. I smiled and laughed as often as I cringed or fought the urge to cry. Sarah MacLean also did a wonderful job at seeding this book with just enough info to whet the appetites of reader for the next. I can't wait to see what happens with the American. It goes without saying that I highly recommend this series, as well as The Rules for Scoundrels, and I'll soon know whether or not to add Love by the Numbers to that list as well. 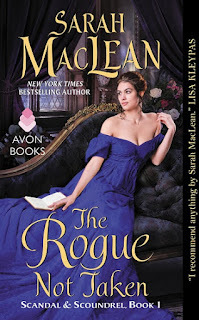 For reviews & more info, check out our stop on The Rogue Not Taken Blog Tour. 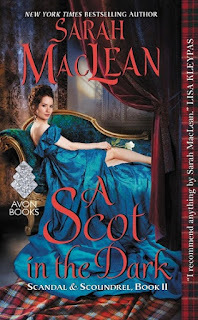 For reviews & more info, check out our A Scot in the Dark post. Sarah now lives in New York City with her husband, baby daughter, their dog, and a ridiculously large collection of romance novels. She loves to hear from readers. Reviewers on the Wicked Reads Review Team were provided a free copy of The Day of the Duchess (Scandal & Scoundrel #3) by Sarah MacLean to read and review.